– THE ULTIMATE PATH TO SUCCESS! A very warm welcome at the premier institute of STUDY CAMPUS. 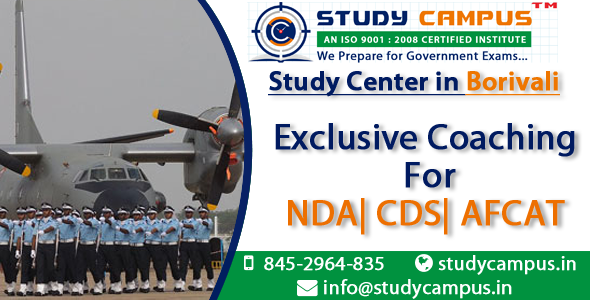 Our CDS coaching in Borivali is truly the one that leads to ultimate path of success to one of the most venerated examinations of the country, the CDS. We take pride in declaring that our coaching centre is amongst those few of the institutes across India that has been able to make its mark within a short span of time. Our incessant perseverance to craft out the best of the curriculum for our students. This in turn has gifted us with a mind-boggling success rate from our student’s end. So if you are a passionate aspirant of the CDS, then do not waste time. Join us today! After the main examination, the then selected candidates have to go through a interview process, before the final process. What has made us the national best? Best of the teacher’s faculty to clear out every concept from the grass roots. Conduction of weekly assessment to assess our student’s growth closely. The best of the tech facilities to aid in better assimilation of our students. The learner centric approach towards teaching, enhancing the purview of intake for the students.